Flemate began her career in entry level sales at SYNNEX Corporation after attending California State University. She is recognized for aligning custom solutions with customer requirements in a transforming market. 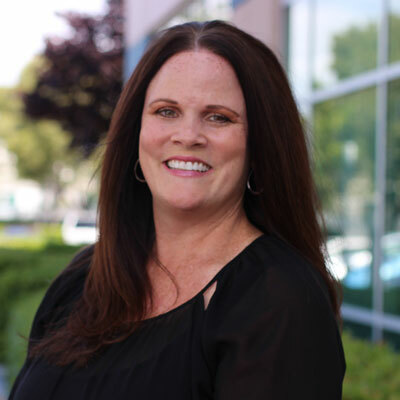 She has enjoyed managing a sales team, interacting with partners, and creating solutions that are mutually beneficial to SYNNEX suppliers and integrators. In an ever-changing market, Flemate believes finding the right customers to complement SYNNEX' offerings has been an instrumental part of her success and career growth to her current position as Vice President of Sales. Flemate developed a team of vertical experts for the system integrator and OEM community. She partnered with vendors to offer programs to support each market, and sales increased more than 10 percent in Q3 and Q4. Her team was aligned with customers that provided purpose-built appliances and emerging storage solutions, which strongly complemented vendor offerings. Expand service offerings and partner with solution providers in new markets. Targeted growth areas in 2018 include security and surveillance and purpose-built solutions. Flemate's team will also develop strategies around each growth area and implement steps to execute double-digit growth. I was nominated for CRN Women of Channel in 2017, and this motivated me to join the SYNNEX F2F committee, which empowers women from all walks within the IT industry, and offer guidance in this area to our System Integrator community. Carla Harris of Morgan Stanley. I have attended several events and listened to her powerful presentations. She has really helped me put a few of my experiences into perspective. I agree with her "collegial" approach to business, and it works! Education is powerful, and there is no limit to the amount of knowledge you can obtain to further develop your skill set. I would push myself to major in Computer Science and become more technical to develop an engineering background that would complement my business expertise. Public speaking has always been a fear of mine. I started presenting more frequently and building my confidence; however, I am still not comfortable presenting to large groups of 300+ people and being an entertainer. My goal is take public speaking classes to master this skill set and become more charismatic and engaging with my audiences. The 10X Rule by Grant Cardone. The mindset of success is clear, and it outlines the need to apply yourself and go above and beyond to achieve all desired goals. The level of effort and commitment you are willing to invest will help create your success. Do not accept mediocrity, instead, be the best you can be.